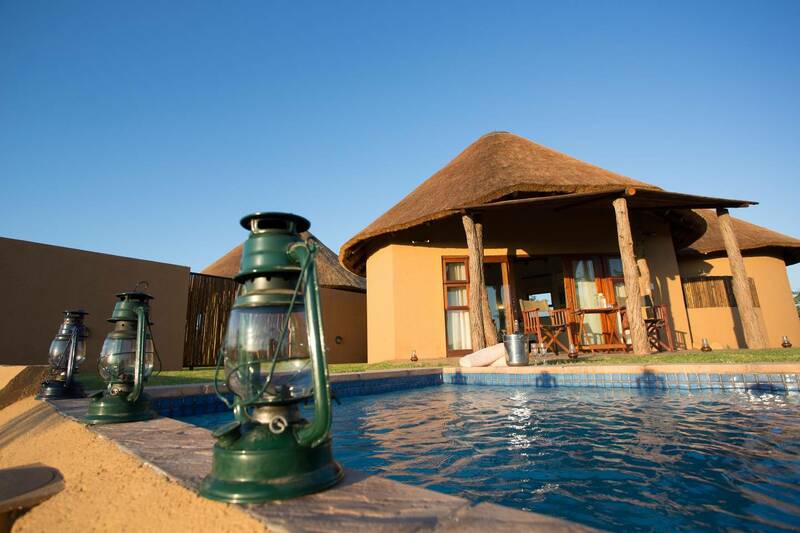 FROM R1200 PER PERSON p.p. 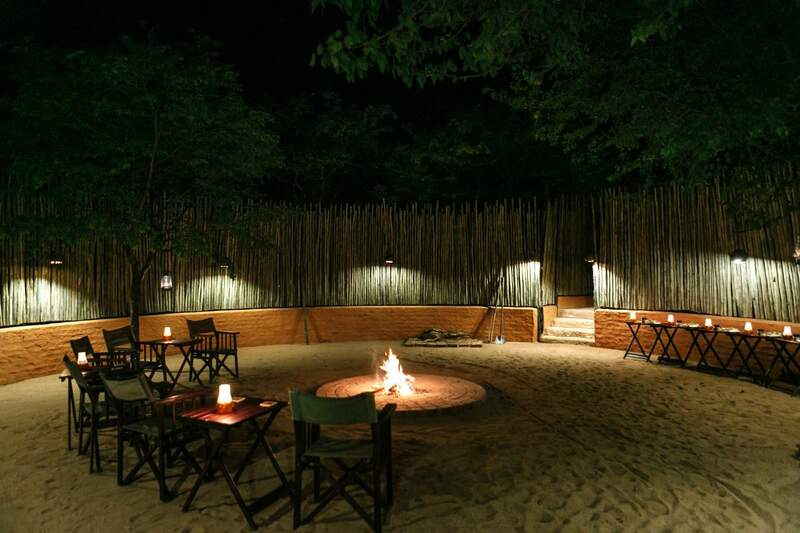 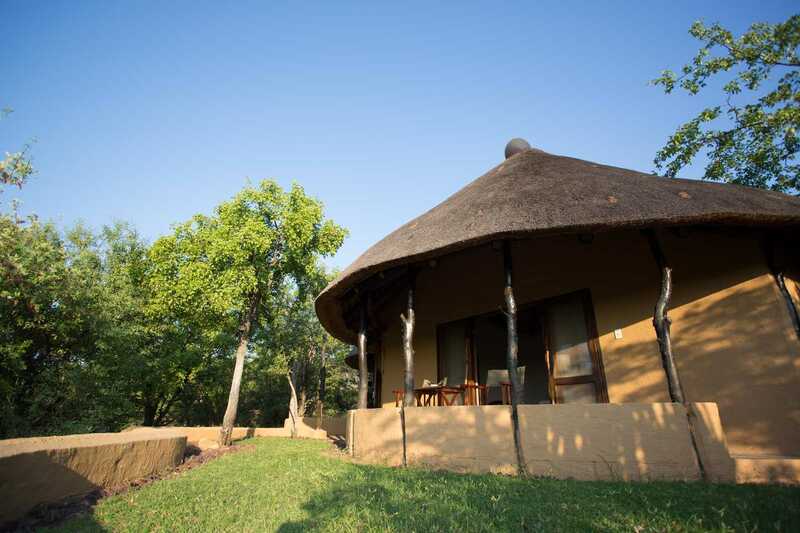 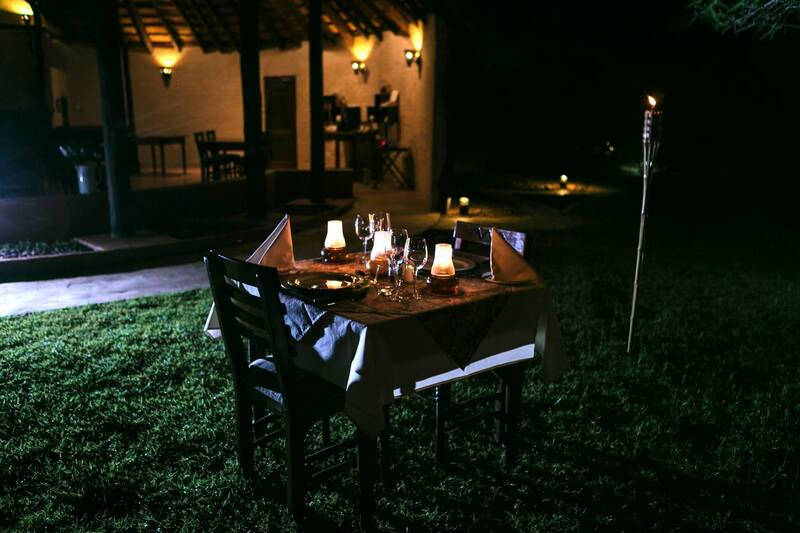 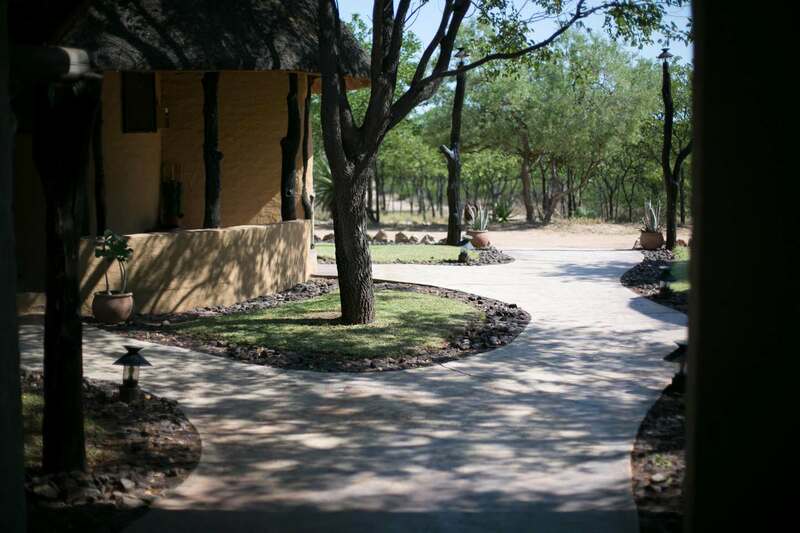 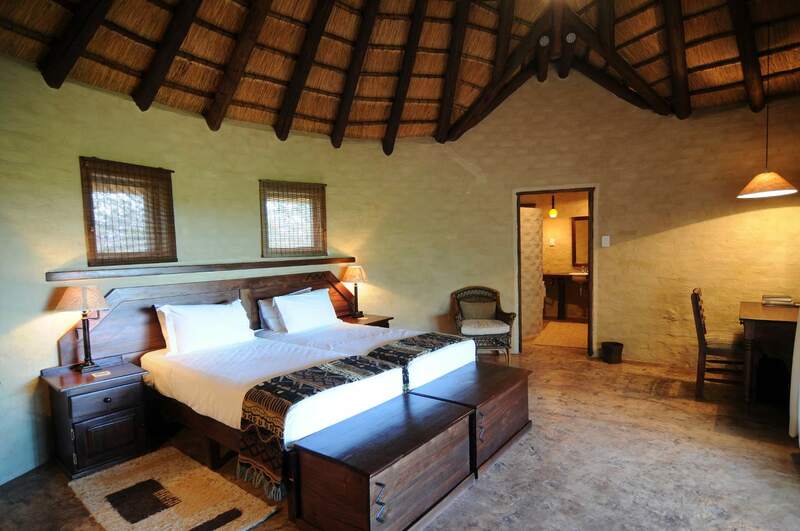 Mopane Bush Lodge is a 4 star luxury game lodge . 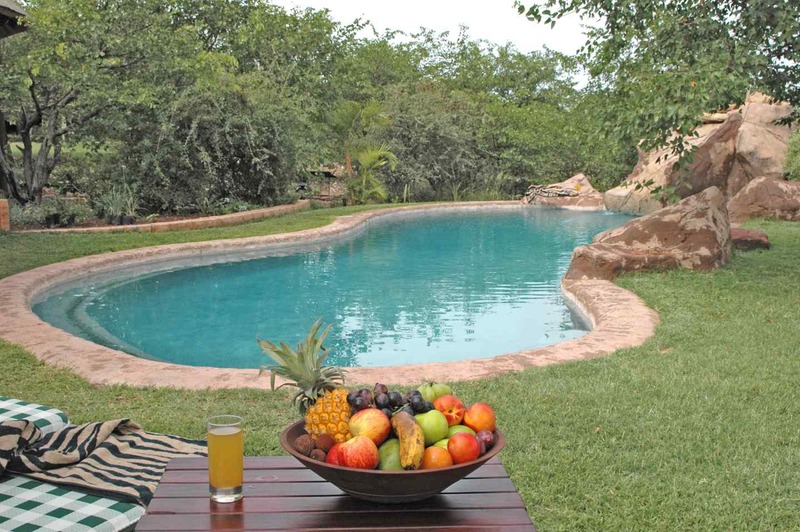 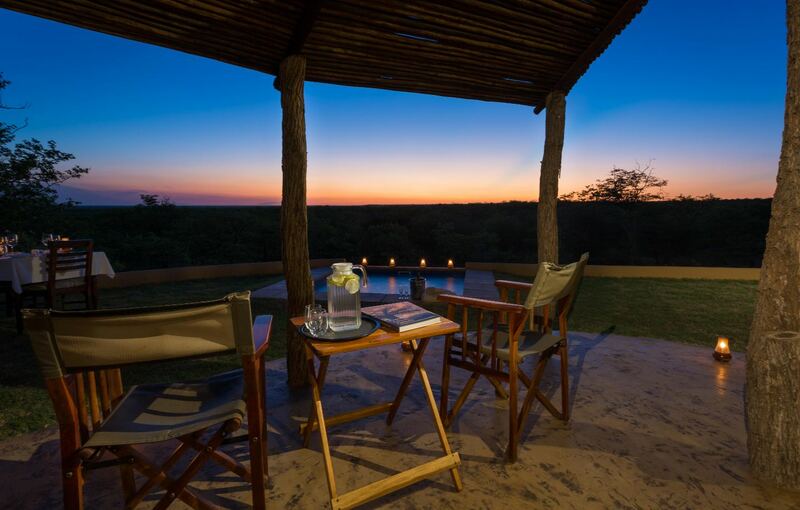 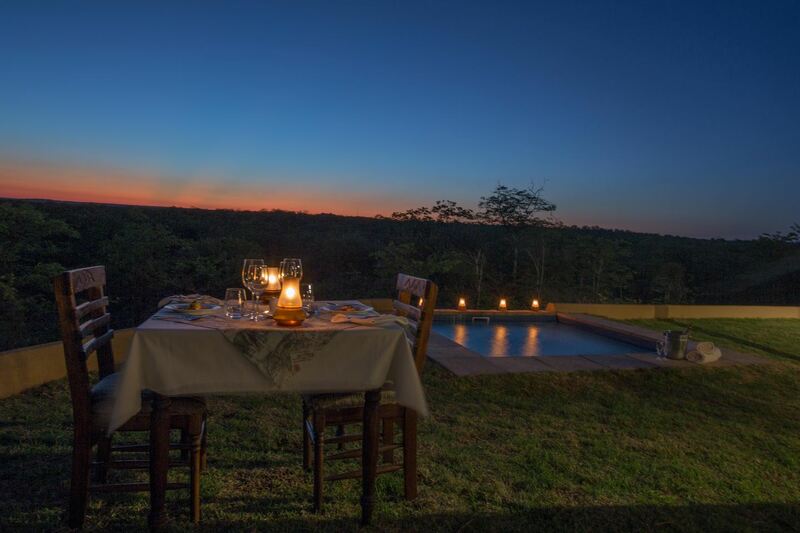 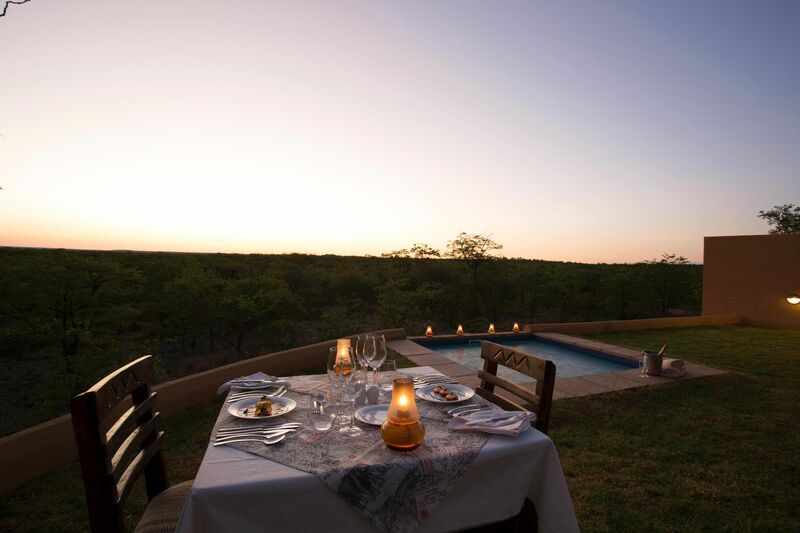 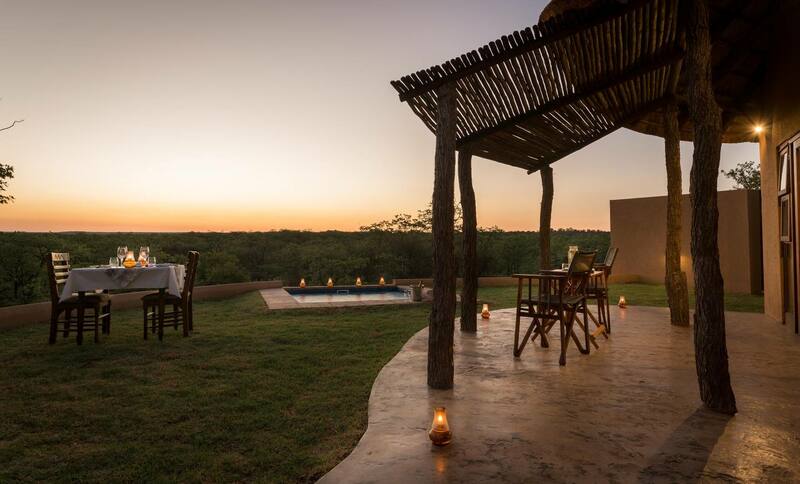 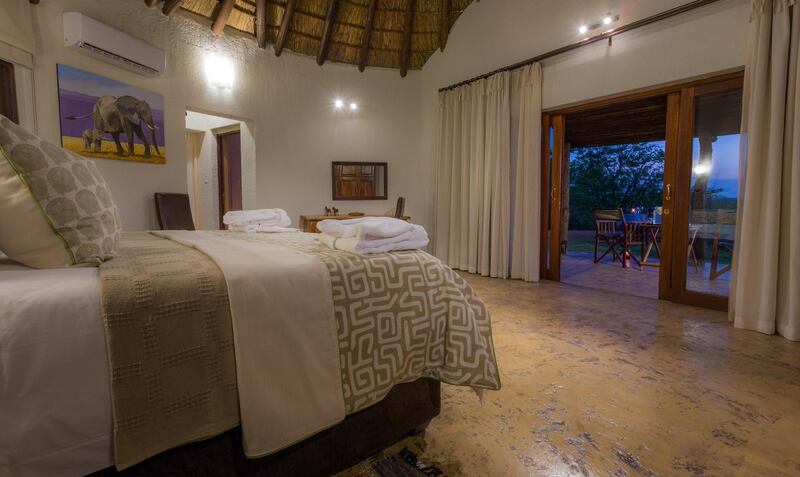 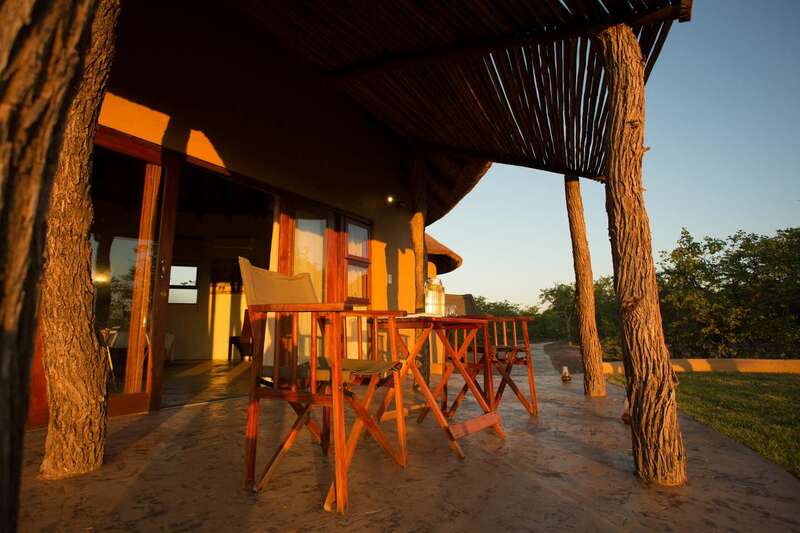 This intimate and tranquil bush retreat can be found in the Mapesu Nature Reserve, a 7200-hectare farm in the Limpopo Valley, adjacent to the Mapungubwe National Park. 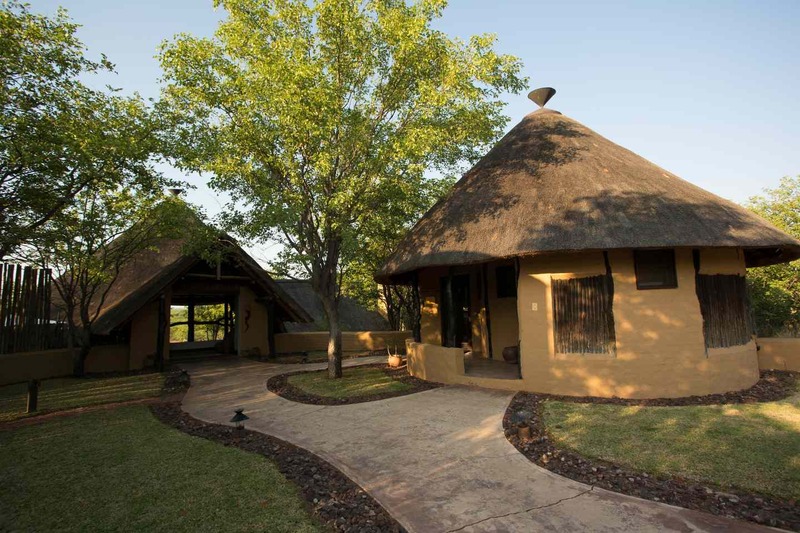 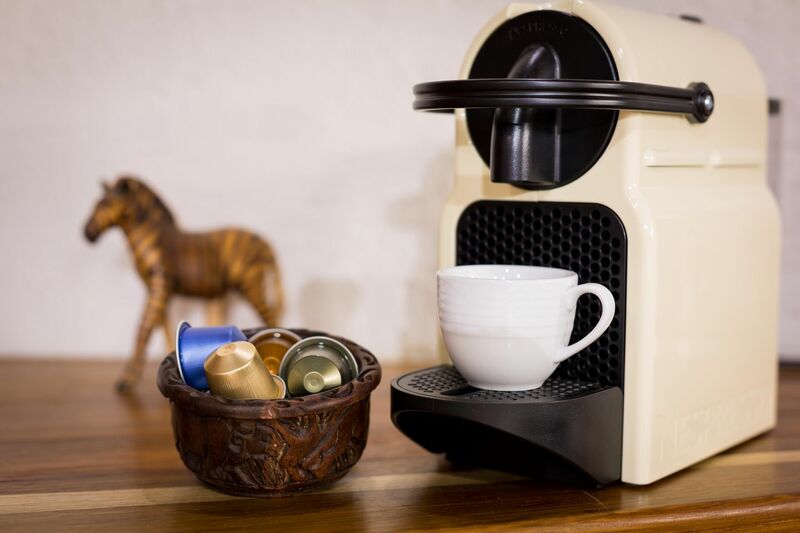 The lodge is located close to the town of Mussina, the Pontdrift border post with Botswana and the Beit Bridge border post with Zimbabwe. 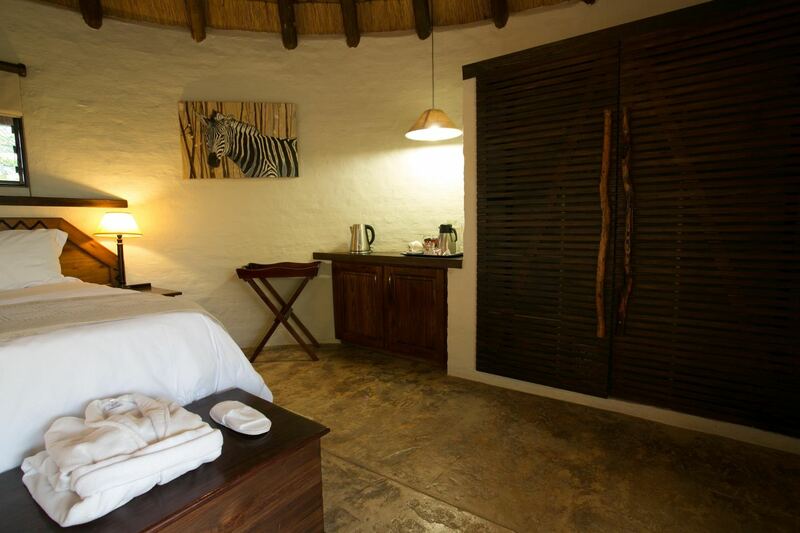 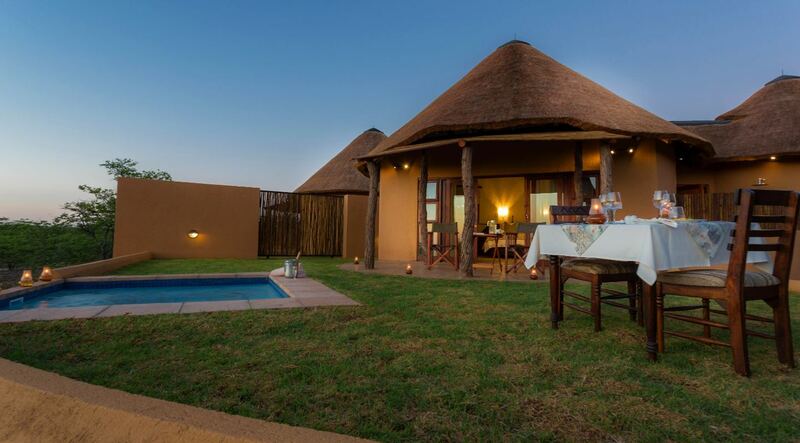 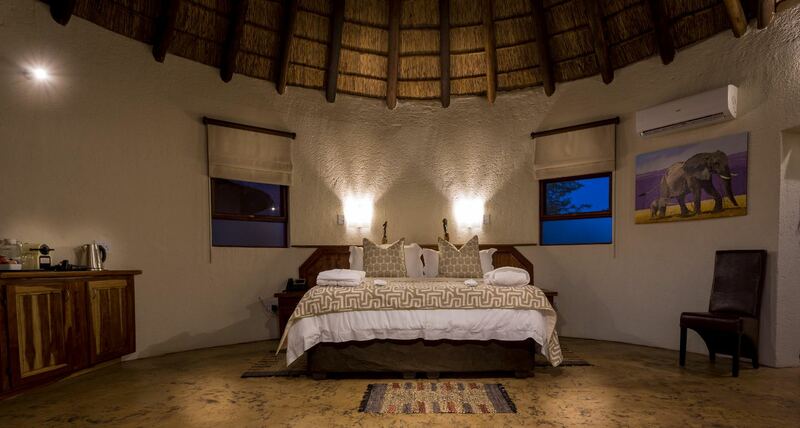 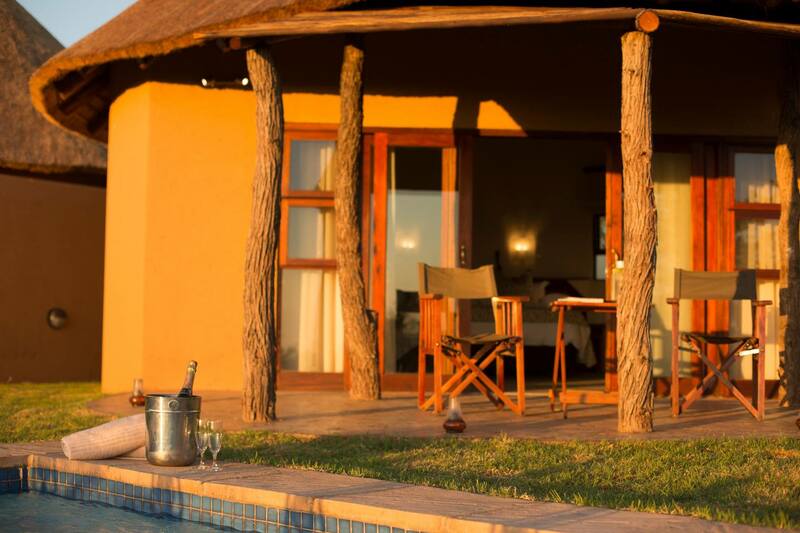 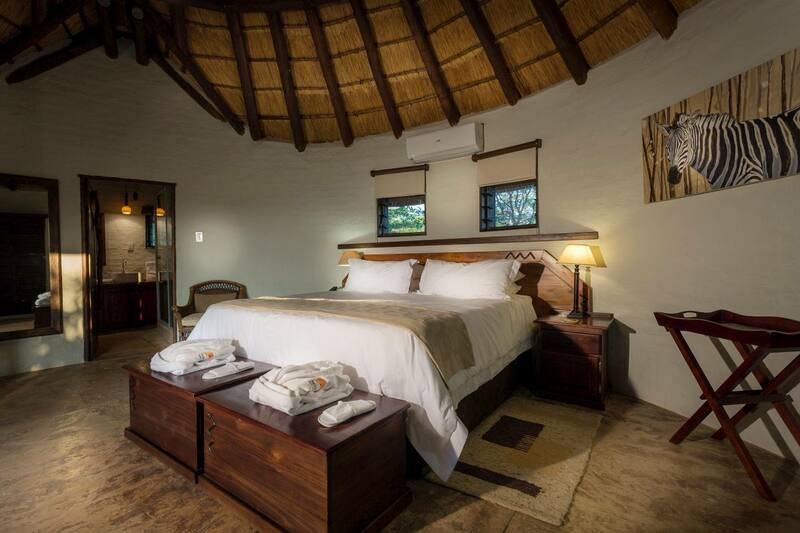 The 19 secluded thatched chalets are situated each in their own kraal with extra large en suite bathroom, exclusive verandah and additional out door shower. 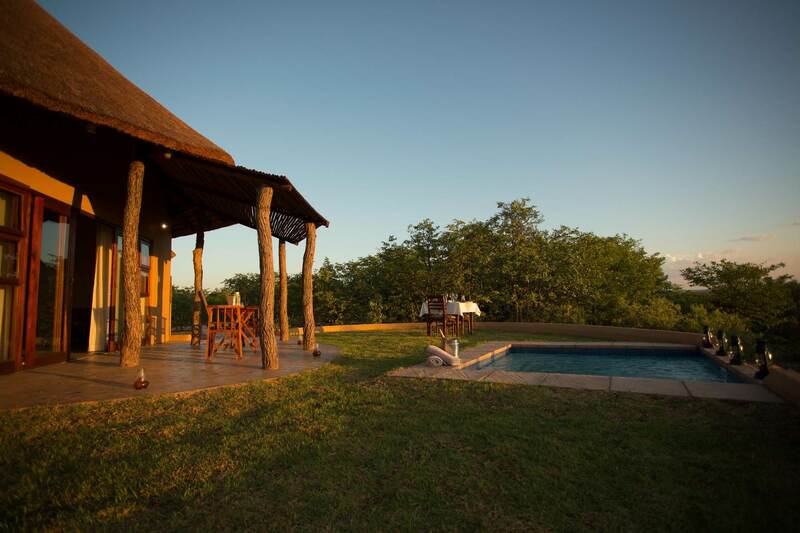 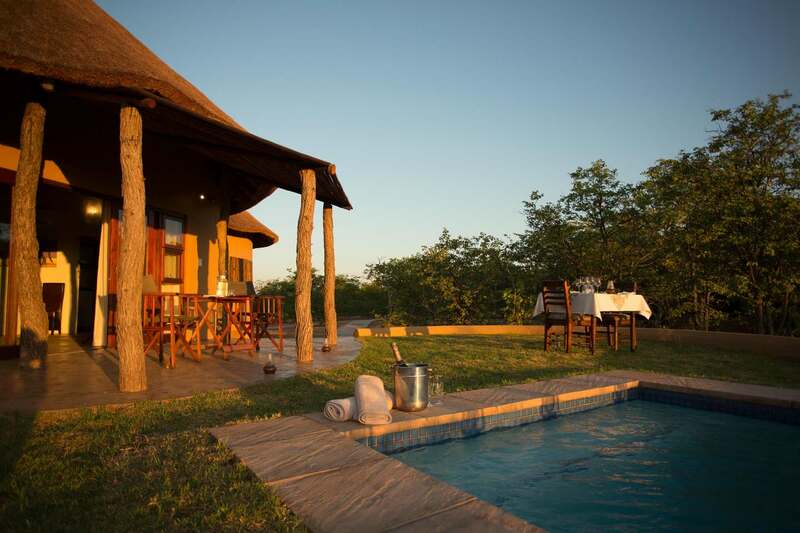 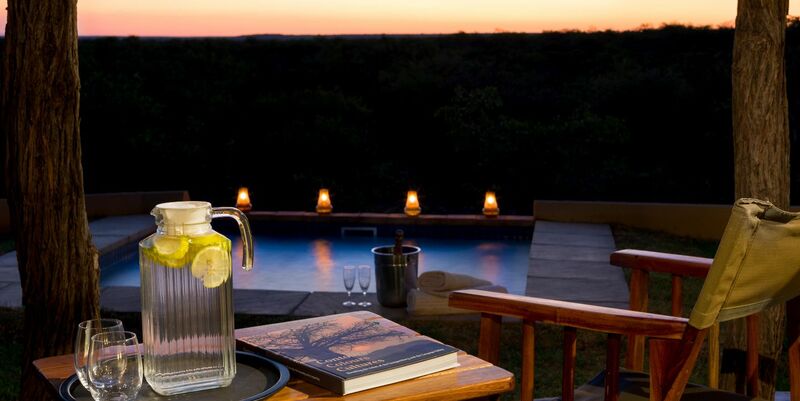 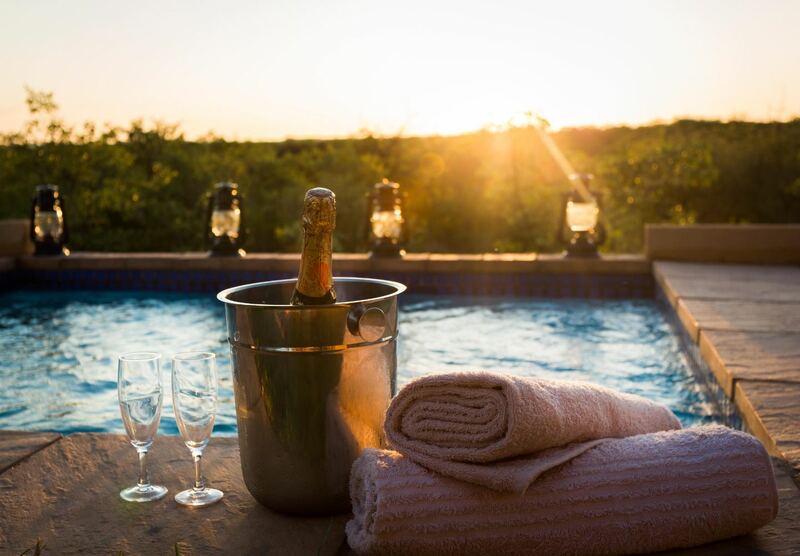 Most of the units have their own private plunge pool, an ideal setting for a relaxing bush experience. 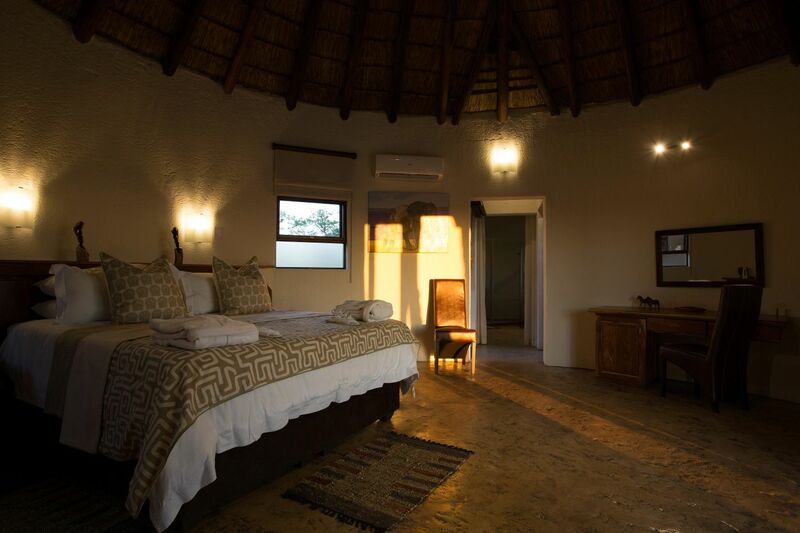 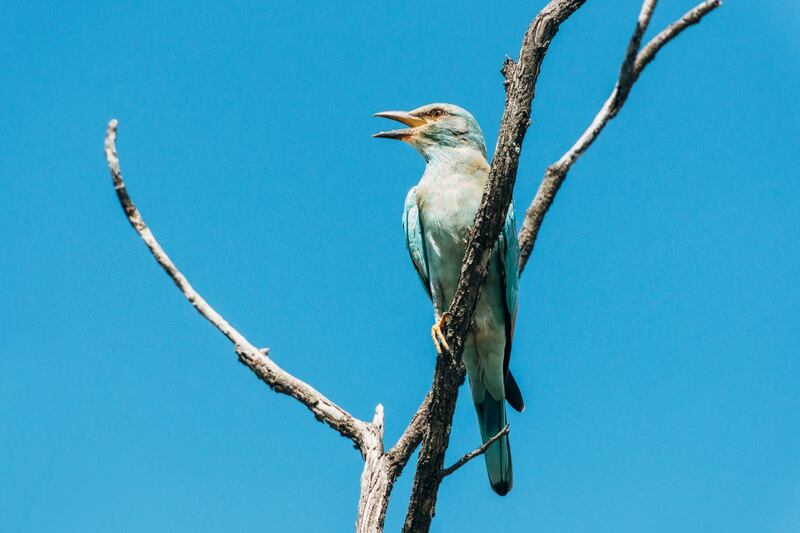 The lodge is a great stopover between the Tuli Block in Botswana and South Africa, as well as between the Northern Kruger National Park and the Tzaneen area. 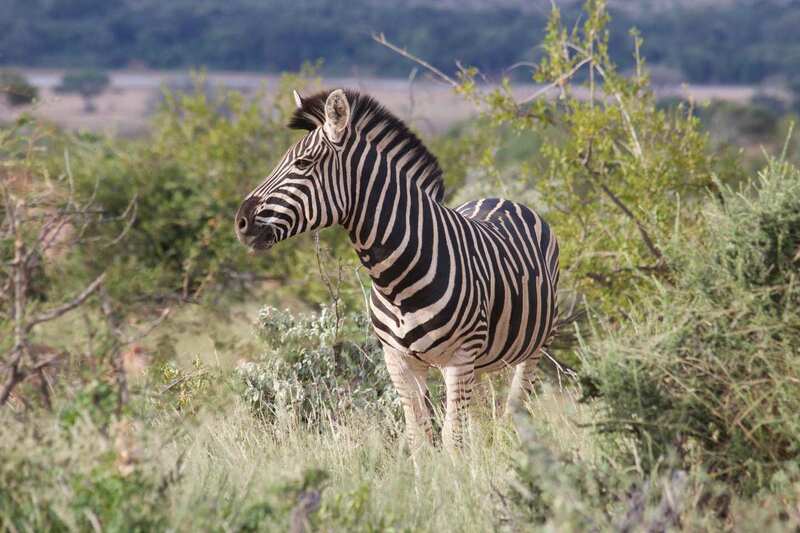 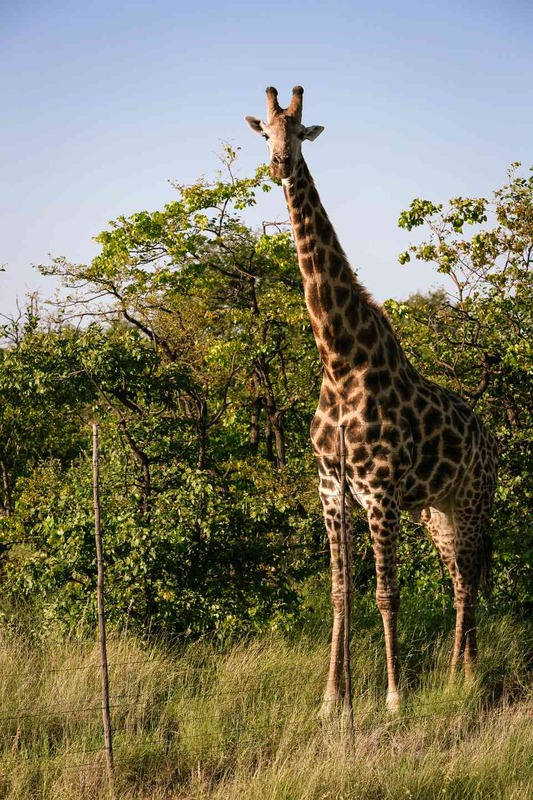 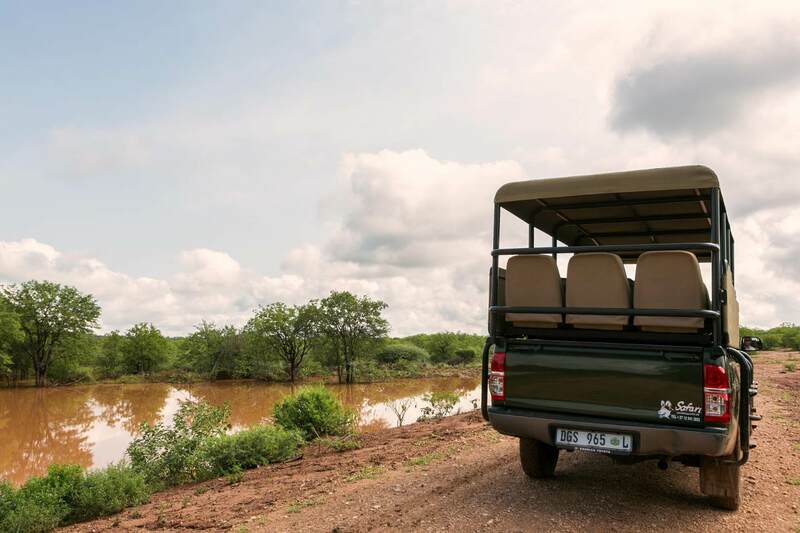 It is also an ideal base for Heritage and Wildlife tours around the Limpopo Province as well as interpretation tours to ancient San rock art sites. 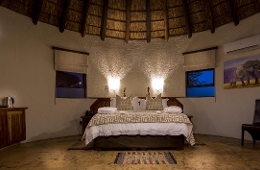 Description: Spacious thatched with double cupboard, tea/coffee station, Nespresso Machine, writing table, dressing table and kists for extra bedding. 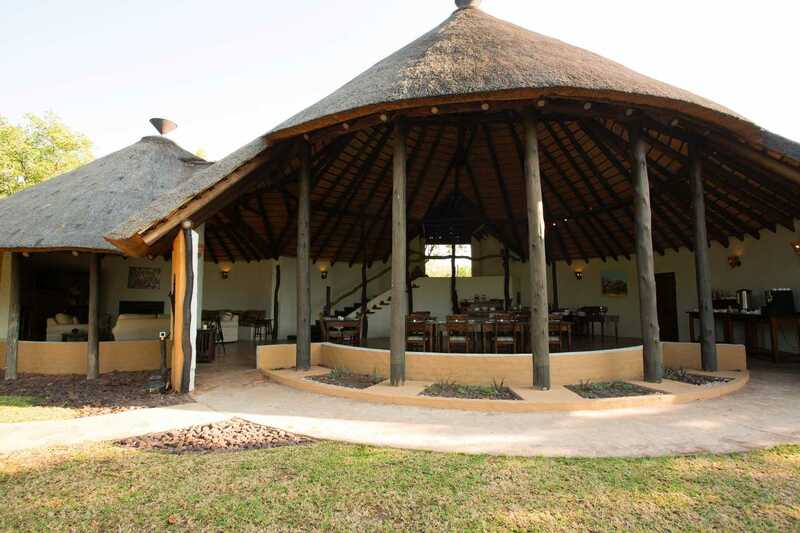 Air conditioning to keep cool in summer and warm in winter. 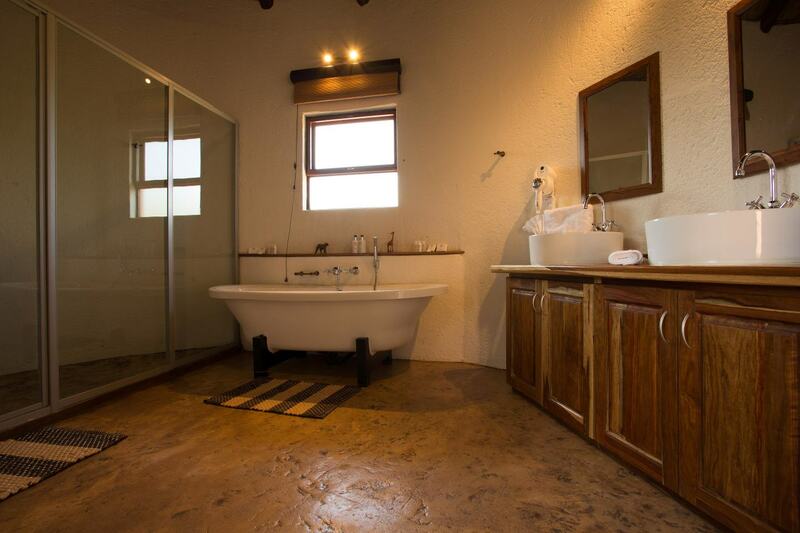 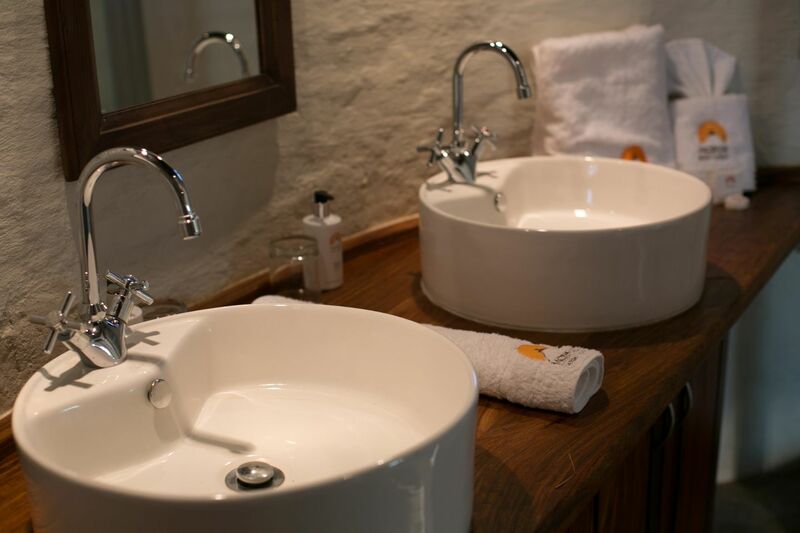 The chalets also have a large bathroom with large shower, soft absorbent towels, and private veranda. 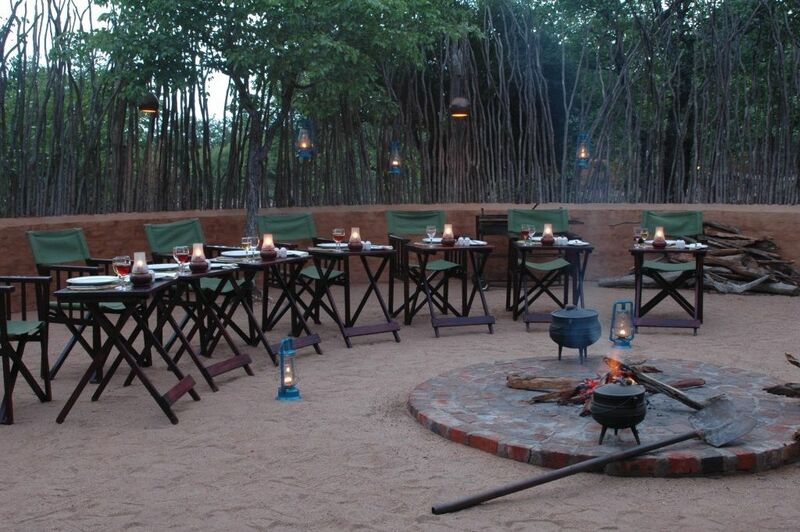 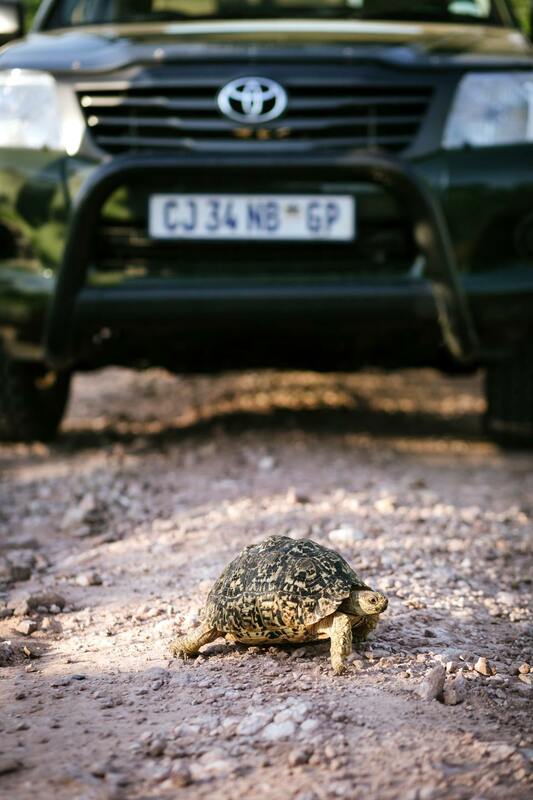 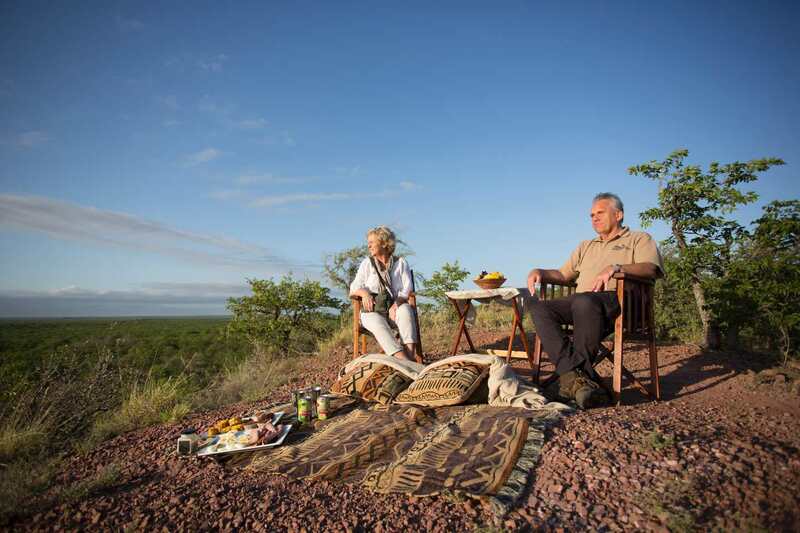 "Great hospitality and the perfect place for exploring the Mapungubwe National Park. 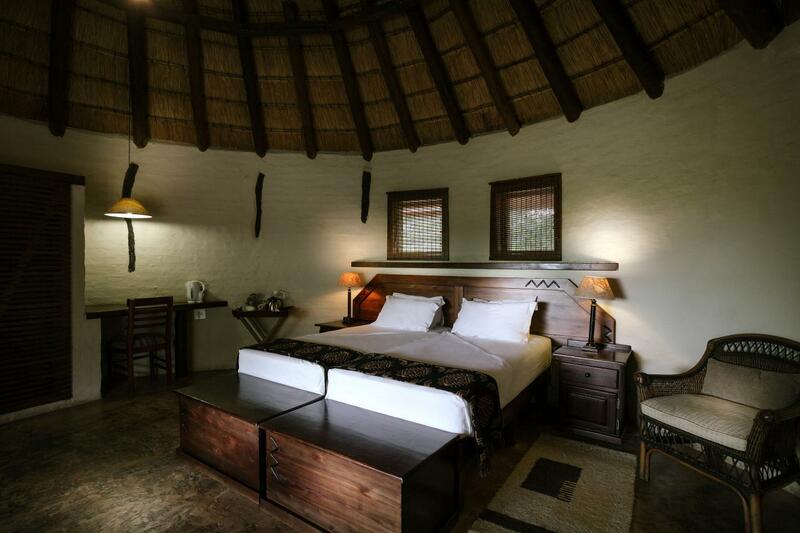 We would highly recommend the lodge. " 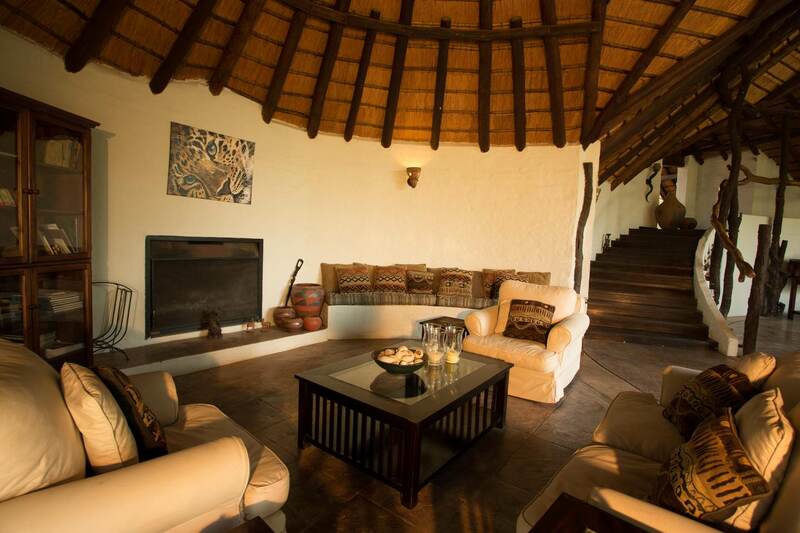 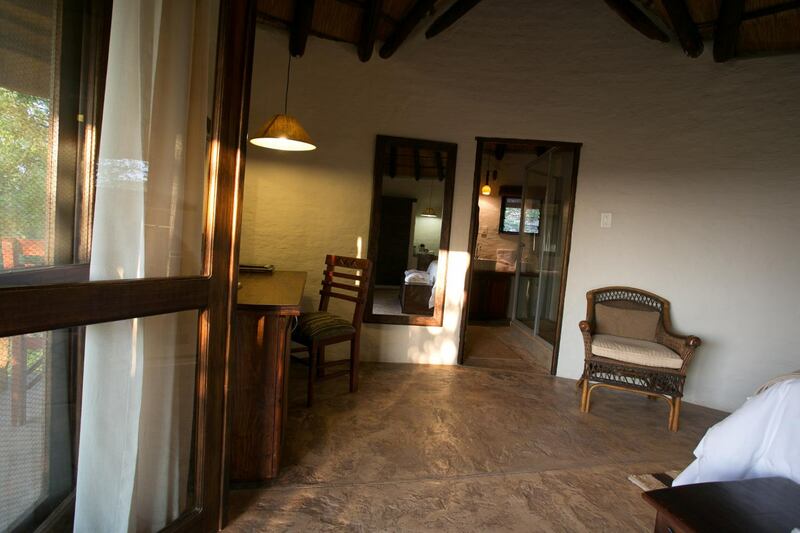 "Excellent chalet, food and attention of all staff....."
Contact Mopane Bush Lodge directly. Send them an email.